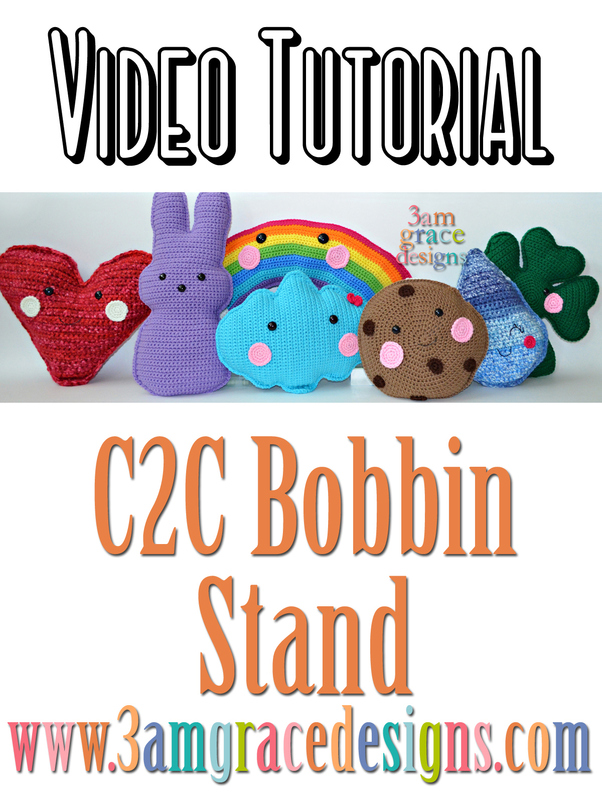 We wanted to share some basic tips for building a C2C Bobbin Stand. 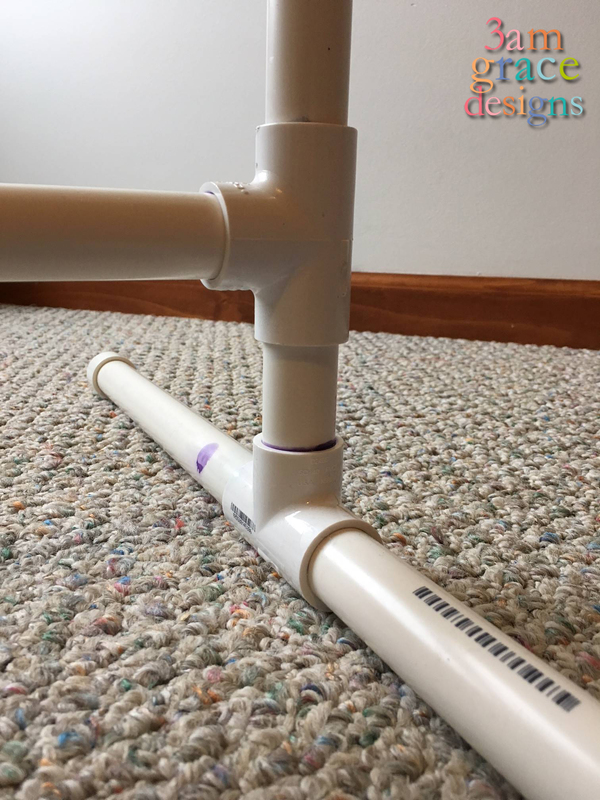 Michaelene’s stand was designed so she could use it while sitting in her recliner, which is why her support bar is close to the bottom (see C in picture below). You can put your support bar wherever you like. The two 2 1/2’ pieces that you cut are for the sides. Make a cut wherever you want your support bar to be and then connect the cut pieces with the T joint. 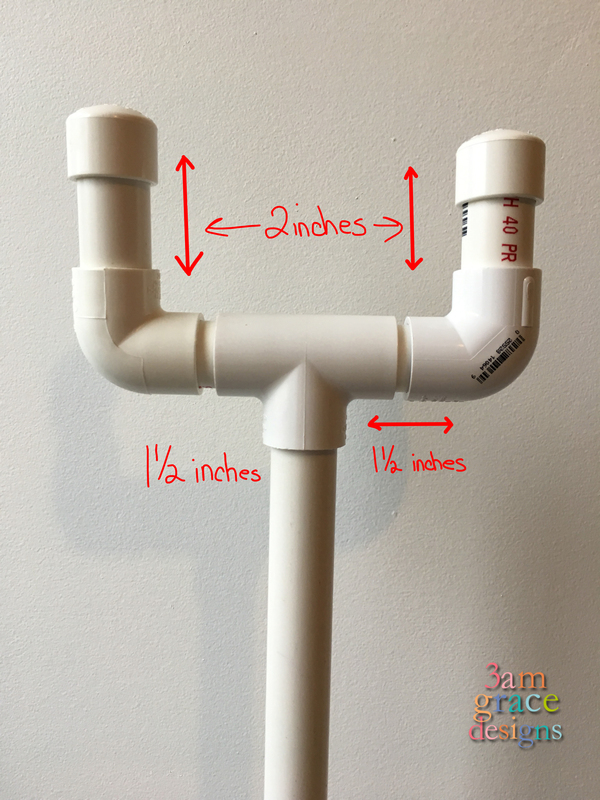 Use the ½” PVC pipe for your bobbin bar. Your bobbin clip bar (see A in picture above) needs to be wider than your stand so it doesn’t fall. Putting the caps on the end help so the bar does not slide off. You can customize the size of your stand however you would like, this is just how Michaelene’s was designed. Since Michaelene’s husband works with PVC occasionally, he used PVC primer and cement to glue all the pieces together. If you do end up using PVC cement, please remember that the bond is instant so make sure you have your pieces lined up correctly. We suggest that you do not use the cement if you want to be able to disassemble your stand. 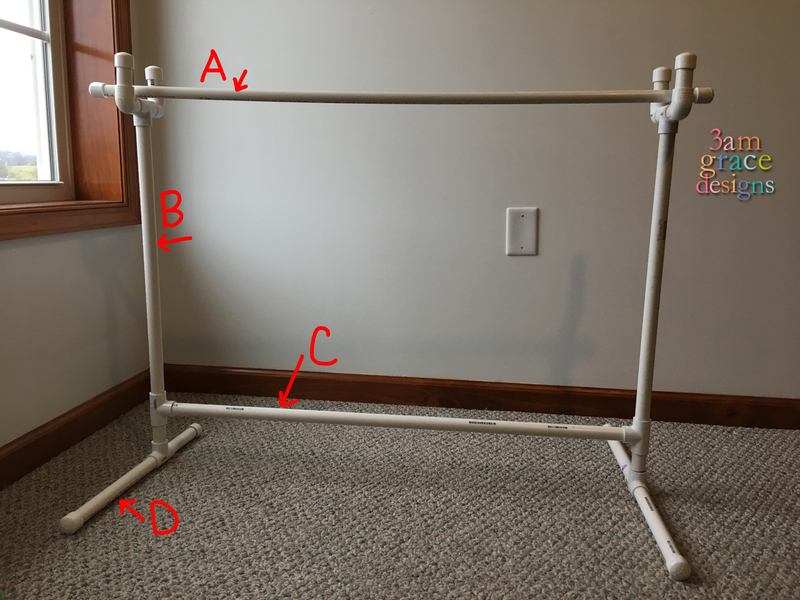 Another option is to hammer your pieces together when you are assembling your stand. 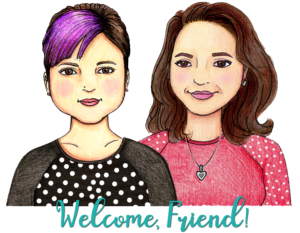 In the video below Michaelene gives an overview of her stand and explains her design choice. While you’re there, subscribe to our YouTube channel to view all our How-To videos!